9 Tips for Pitching Bloggers…Without Alienating Them! Blogger outreach is becoming an integral part of a public relations professional’s job. Where once blogs were viewed as less important than traditional media, today’s digital marketplace shows that blogs continue to grow in popularity and influence. Sadly, some public relations practitioners stumble in their efforts to pitch to bloggers, either out of ignorance or a perceived lack of time. Bloggers, like journalists, come in all shapes and sizes. They’re people too. They tend to be focused on the topic they cover and are passionate about it, whether they’re creating content on a full-time basis or blogging part-time in between their other job responsibilities. Like most of us, bloggers are operating under pressure to get things done quickly and often scrambling to keep up with their workload. They also have to maintain a community of fiercely loyal readers and viewers who pay close attention to the opinions and information shared. Do you want to attract bloggers’ attention without alienating them? Here are some vital tips to help you pitch bloggers without alienating them. 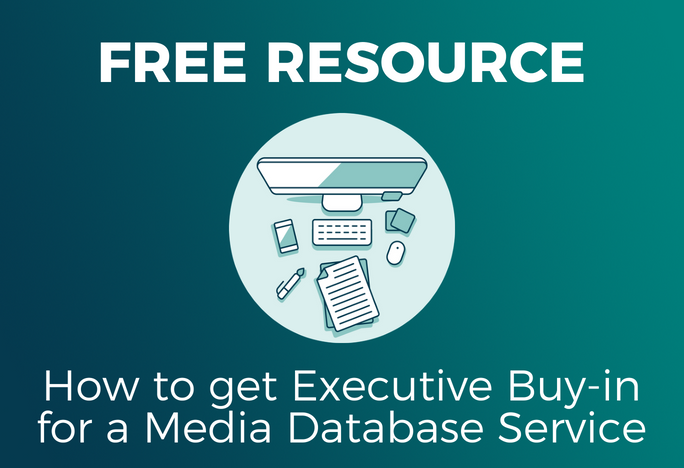 Media databases are valuable tools that can make it easy to locate bloggers for outreach. But after you’ve built your lists, be careful. Don’t misuse your database and send bulk emails. Personalize your outreach. Take the time to understand what you are trying to accomplish and how the blogger you are pitching might help you accomplish that. Then, look at your pitch from the blogger’s perspective and ask yourself, what’s in it for him? My friend, Mack Collier, founder of the popular Twitter #blogchat and author of Think Like A Rockstar, provides critical steps for a successful blogger outreach campaign. He stresses the importance of reading the blog first, checking to see what topics the blogger writes about and understanding which posts proved most popular. After those three steps, make sure your story idea will resonate with the blogger. For example, don’t expect a sportswriter to be interested in writing about fashion, unless your story has an angle to connects fashion with the sports he covers. “Your job is to make my job easier. Do that, and I’ll give you coverage here every single time,” Mack says. Check to see if the blogger has guidelines on how they want to pitched. Many do. Follow those guidelines. Mack cautions us not to follow up repeatedly and to trust that if he hasn’t responded, he probably isn’t going to. Keep in mind the volume of emails and tweets that popular bloggers and journalist are fielding today. If you need a “memory aid” on that front, look at your own out-of-control inbox and imagine how much worse it could be if the shoe was on the other foot. Dorothy Crenshaw touts blogger relations basics in her post, The Care and Feeding of Bloggers: Tips for PR Pros. She recommends not only knowing the blog and its subject matter, but showing awareness of the blog’s voice and its following. Dorothy warns that, unlike journalists who may ignore an ill-advised pitch, bloggers may just make you a poster child for PR spam. And she reminds us to be respectful. Always be respectful. My friend Shonali Burke, a well known public relations and social media expert, provides straight forward and valuable pitching guidelines for her blog Waxing Unlyrical. Her first? Use the blogger’s name. She also advises working well in advance of your deadline so she has plenty of time, include the name of her blog in your email’s subject line and provide appropriate images and media. Shonali provides a list of pitching Do’s and Don’ts, which cover the same ground we discussed but provide examples to make each guideline crystal clear. Tech marketing blogger Douglas Karr, provides an example of a good pitch, one he found particularly noteworthy. In his post, he breaks down the features of the pitch that worked well for him, citing the personalization, succinct presentation of information and the fact that the pitch provided several ideas on how he could use the information—doing some of the work for him ahead of time. Click to see his example. Finally, if you’re wondering what a bad pitch looks like, visit my friend Richard Laermer’s Bad Pitch Blog. Richard, and his partner Kevin Dugan, fill the blog with examples of truly awful pitches, pithy analyses of why they’re so bad and boatloads of tips for how to do PR right, including maintaining successful blogger relations programs. Treat yourself. It’s entertaining and edifying. Let’s also go forward like PR rockstars and conduct winning blogger outreach campaigns. Remember: take the time, read the blogs, get the names right, make sure your story is a good fit and don’t dog bloggers for responses. Most of all? Put yourself in their place. How is what you are pitching going to work for them? Want access to a database of hundreds of thousands influencers, journalists and reporters? Take a demo of the Vocus PR Suite now!